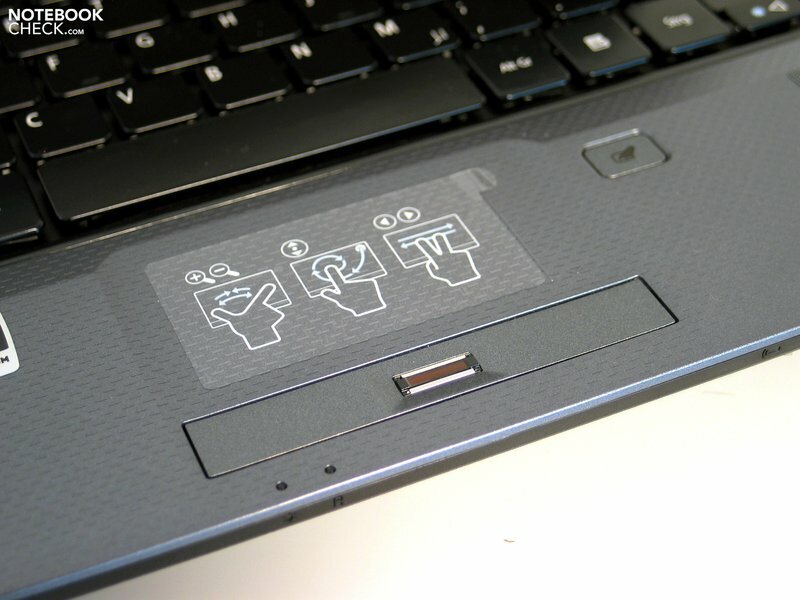 They should be compact, mobile and efficient at the same time - multimedia notebooks usually have the hardest time to satisfy their customers. Of course, the price also plays an important role because as many interested parties as possible should be able to afford the device. 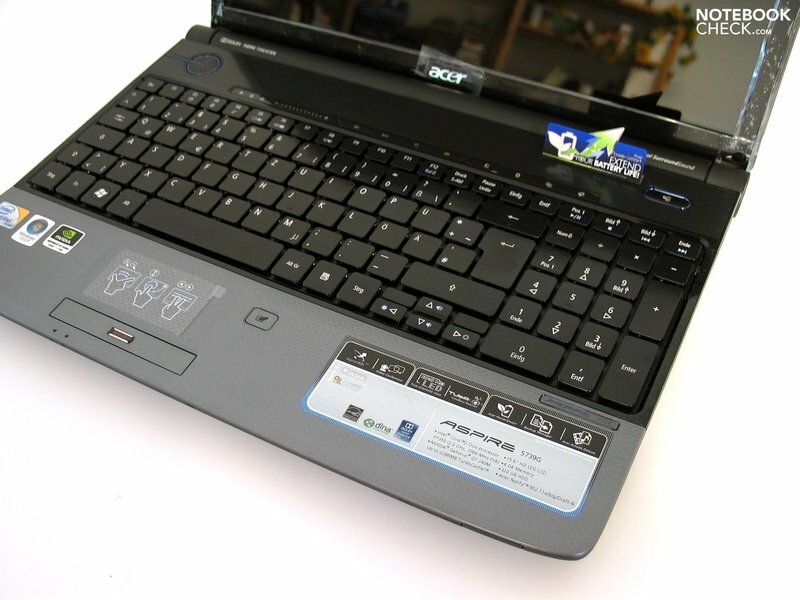 The Acer 5739G positions itself quite well in all these points, but it attracts general interest with especially one feature: The new Nvidia Geforce GT 240M graphic card. The Acer Aspire 5739G is available in several various configurations. These differ particularly in the various deployed processors as well as the inserted graphic chip. Our test model (734G32Mn), equipped with an Intel P7350 CPU with 2.0 GHz, the new Geforce GT 240M from Nvidia, a 320 GB hard disk and 4 GB DDR3 RAM, belongs to the interesting alternatives, principally because of its price: You can get into the game for a starting price of 800.00 Euros. An optically very similar notebook after the test of its bigger brother, the Aspire 8935G, faces us now. 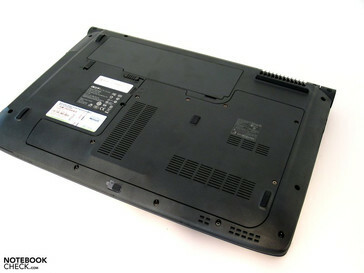 The 5739G shows the same currently used design line, which can be evaluated as very attractive. As to the color, the notebook is shaded from black to steel gray, and is put into the limelight with a high-gloss metallic blue finished display lid and a single blue LED. This falls within meters and bounds so that the 5739G doesn't make a coltish impression. As usual, plastic is used as the main material, but this in an almost high qualitative way. The surfaces have a very good grip and support this first positive impression. The case can score in stability, too. Pressure applied to the base unit only provokes insignificant deformations just as well in often critical areas like the optical drive slot. The display doesn't present itself quite as stable and shows possible image distortions under pressure. Principally, all ports on the 5739G are found where they were also found on the significantly larger 8935G - mainly on the left side edge. The power socket, LAN, VGA and HDMI, eSATA/USB, 2xUSB and the audio ports (according to Acer with S/PDIF support) are gathered here. 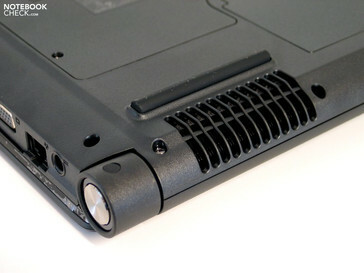 A modem port, the antenna socket (if the model has been equipped with an integrated TV tuner), the optical drive and a further USB port cavort in the right front area. Finally, a cardreader is applied on the front edge. The overall configuration is alright. Merely an omitted Firewire port could be cause for ill-humor for a few users. The convergence of ports on the case's left side is also not optimal for lefties. The keyboard turns out to be very similar (if not identical) to the 18.4 inched Aspire 8935G. The completely plane surface with the comparatively quite smooth finish belongs to this just as well. This is certainly a point which will require accommodation. We assessed the typing feel to be subjectively good, as the single keys have a rather short stroke length with a yet palpable pressure point. The arrow keys, which have turned out particularly small (only half key height), are a further critique point, which might be unpleasant in various games. Once again, we couldn't chum up with the volume control by means of a touch sensitive field above the keyboard, which does respond quite a bit better than many competitor models, though. We also had our difficulties with the touchpad in the first hours of use. The mouse cursor often jumped back and forth unintentionally, and especially drag and drop commands turned out to be an ordeal. The reason for this could be the interaction of not optimal driver settings and unintentionally triggered multi-functions. 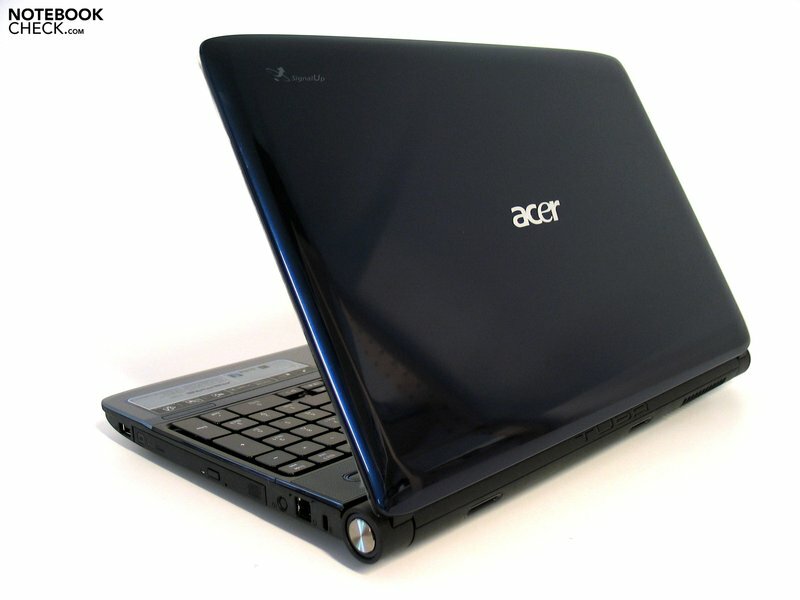 A 15.6 inch LED display with a glossy "Acer CiniCrystal" surface and a resolution of 1366x768 pixels, hence a 16:9 cinematic format, is used in the Acer Aspire 7539G . 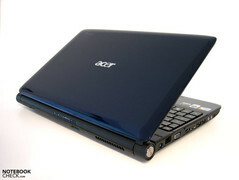 We couldn't get close to the brightness of 220 nit stated by Acer in our first assessments. Our Mavo Monitor meter gave a maximum of 185.6 cd/m2 in the lower center measuring area. A maximum possible contrast of 157:1 is ascribable to the screen with a black value of 1.18 cd/m2, an only under average result. Principally, unpleasant reflections are noticed subjectively at rather tight viewing angles also indoors. 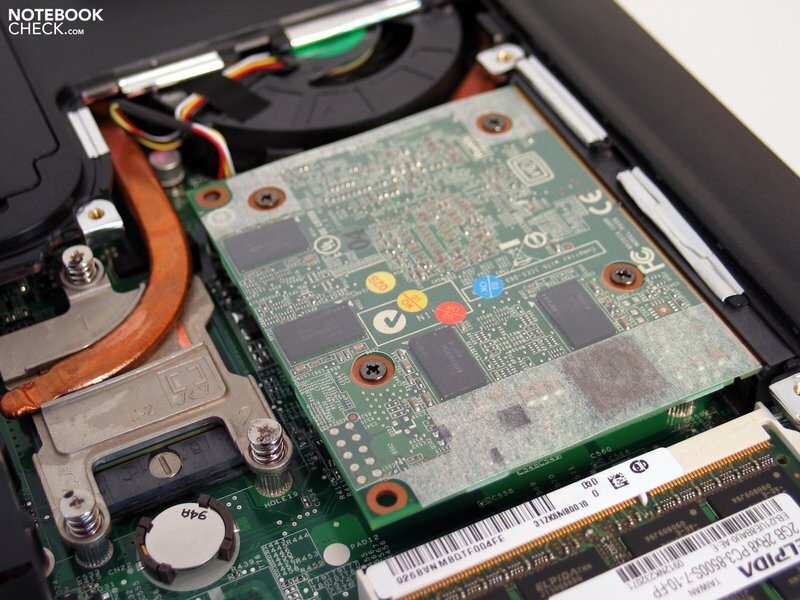 With the Intel Core 2 Duo P7350, a processor from the current Penryn architecture is deployed in our test device. It doesn't rank behind its higher quality colleagues in any way with a front side bus connection of 1066 MHz and a 3MB L2 cache. Merely the clocking of 2.0 GHz might turn out a bit higher especially in games. Positive: The chip has a TDP value (Thermal Design Power) of only 25W, which certifies an especially energy efficient operation (just like for the entire Intel Pxxx range). The brand new Nvidia Geforce GT 240M graphic card is without a doubt the highlight. Equipped with 48 shader units and a 128 bit memory bus, it positions itself between the own Geforce 130M and the 9700M GTS graphic card in view of performance. The GT216 core serves as the basis, which also entails significant improvements to predecessor chips of this performance category. You can find more about the GT 240M graphic card from Nvidia, as always, in our comparison of mobile graphic cards. 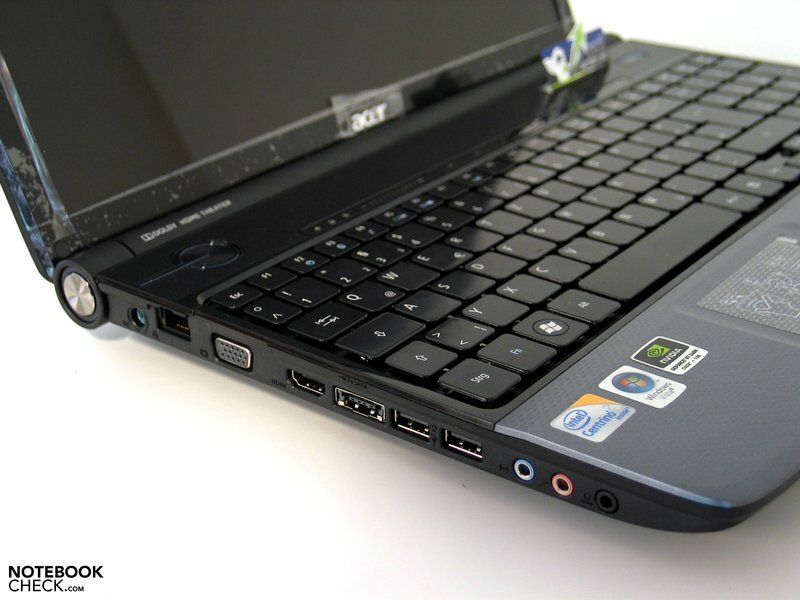 In the first benchmark test, the Acer Aspire 5739G achieved 5813 points in the 3DMark2006 benchmark test. 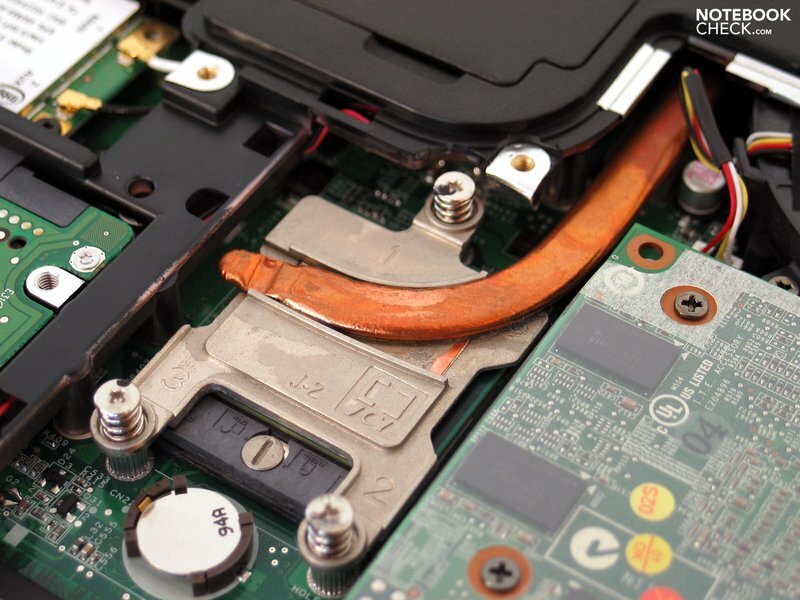 The graphic chip can, for the time being, establish itself a bit above a fully equipped 9600 GT graphic card but still considerably below a Geforce 9700M GTS and the ATI competitor, the Mobility Radeon HD4650 ein. In connection with this, it has to be mentioned that the notebook with an Intel P7350 CPU at hand doesn't come close to the processors of comparable notebooks and a more efficient CPU would most certainly provide for a better result. 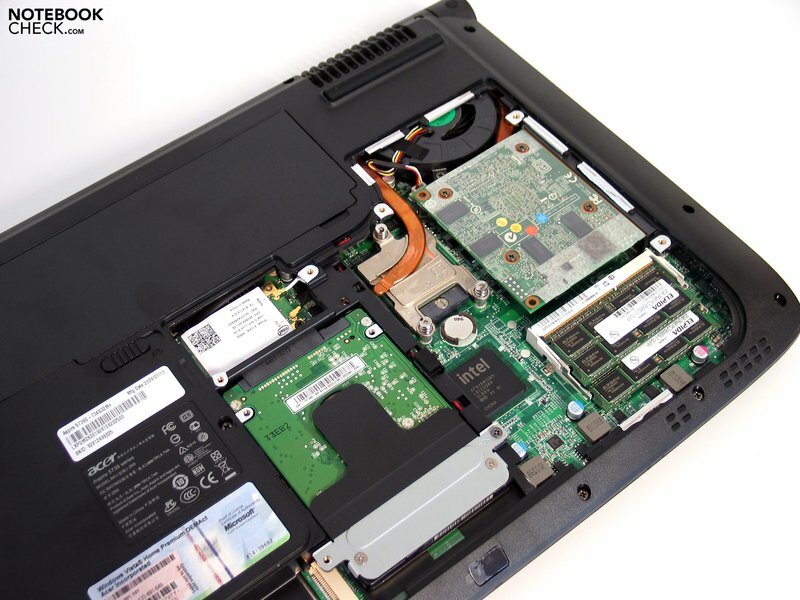 A second point is that the GT 240M graphic card in the Aspire 5739G only has a DDR3 video memory. This also slows it down and thus stays behind the performance of other graphic cards, equipped with the faster GDDR3 memory (32 bit connection). The GT 240M should gain a bit of ground in top configurations with this. Nvidia integrates CUDA and PhysX, whereas the graphic card can disburden the main processor in certain applications (i.e. video coding or physic effects and these procedures can be processed considerably faster. However, only certain application or games (Mirror's Edge, Mass Effect, Fury, Gothic 3...) will have an advantage with this feature. The latest 3DMarkVantage benchmark test also supports PhysX, which naturally grants an advantage for the Nvidia graphic cards. In detail the 5739G with PhysX achieved 2624 points in the overall score. In comparison to a runthrough without PhysX, this is a plus of 26%. The PhysX CPU scores' benefit can also be recognized well in the single results of the comparison to HD4650, as well. It was of course also fascinating how the new graphic chip puts up in practical gaming in comparison to its closer competitor, the ATI Mobility Radeon HD 4650. Attached is a comparison of a first test based on some current games. It's well recognizable that the frame rate with that of the mySN MG6 (configured with the HD4650 graphic) turns out almost the same in the standardized runthrough of a passage in the first single player level. The GT 240 partially is in the vanguard, whilst in other parts the HD4650 is superior. The difference is only insignificant, though. However, both curves vary considerably in the race game GRID. During a lap with the BMW team Germany (demo version), the mySN MG6 with a 4650 graphic is really notably in front and remains in an absolutely smooth field of around 45 fps. 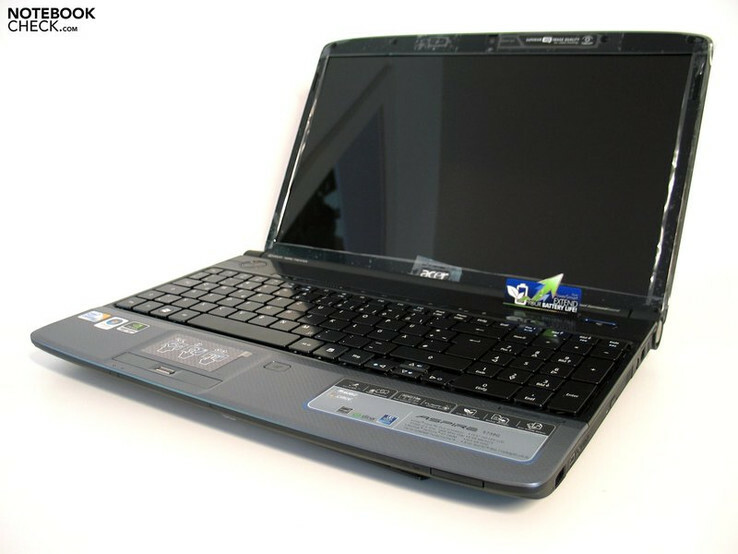 The Aspire 5739G drifts with the GT 240M in the area of 30fps here, whereas the game still moves in a playable field but could be, subjectively, smoother, though. In the horror shooter FEAR 2 this is once again rather divided. Both graphic cards are neck and neck to a part, and partly the HD 4650 leads. We couldn't observe the repetitive massive breakdowns of the ATI HD4650 with the GT240M graphic of the Aspire 5739 G, though. It is already noticeable after a few hours of use that the 5739G's fan is practically in continual use and also runs audibly. 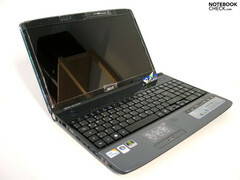 The notebook's system noise, however, remains within a reasonable area at office tasks with minimum performance requirement. In practical gaming mode, the soundscape turns out equally acceptable. It was striking though, that the fan began to pulsate unpleasantly after several hours of use at maximum load and caused a very disagreeable soundscape. Whilst the notebook stays fully under 30°C without load, the heating with load does turn out quite decently high. The case reached peak values of up to 44°C in the upper side's left back area and on the bottom side even up to 52°C in the area of the fan. ...keeps the case in office mode adequately cool. 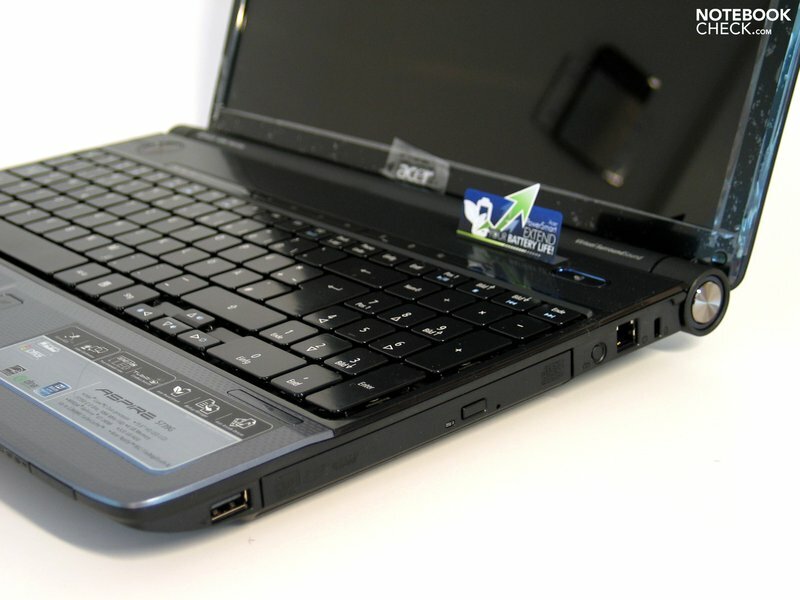 The Aspire 5739G also grants a restricted mobile use being equipped with a 45Wh battery. In the first test, we could establish a runtime of about 220 minutes, so around 3.5 hours, in practical WLAN surfing mode with maximum display brightness, however in energy savings mode and activated Acer Powersmart option. This is a very usable result. The Acer Aspire 5730G presents itself as a compact, stylish companion with an intriguing price for value ratio. The case is impressive in view of the price category and offers an attractive appearance with a good stability. The connectivity with HDMI and eSATA port is also very much okay. The keyboard presents itself in an equally promising look but you have to accommodate yourself to the comparatively smooth keys as well as the strongly reduced arrow keys. We couldn't really get used to the touchpad though, which showed itself as a bit intractable in the first test. The display didn't completely satisfy with its first test reading. The price pressure probably becomes somewhat evident here. The built-in combination of Intel CPU and Nvidia GT 240M graphic is very appealing, which will probably most certainly find employment in several low-budget multimedia notebooks of the future. In view of efficiency, it can leave its forerunner, the Geforce 9600M GT, clearly behind, but the current middle class chips form ATI (HD4650) can still keep the lead. For saving ambitious users with gaming ambitions, the Acer 6735 is very well worth a look, as the list with alternative compact notebooks with ATI HD4650 graphic still are rather scarce. The usual comprehensive test will soon be available on notebookCheck.com. Stay tuned!